In the ever more urgent quest for sources of renewable energy, meet the man boldly harnessing the natural forces that could power America’s future. The United States is in the midst of an energy transition. We want to embrace renewable energy sources like wind and solar, and rely less on dirty fossil fuels. We don’t want to keep pumping so many heat-trapping gases into the atmosphere. Any transition from a North American power grid that uses mostly fossil fuels to one that is predominantly clean requires a massive building spree—billions of dollars’ worth. Enter Michael Skelly, an infrastructure builder who began working on wind energy in 2000, when many considered the industry a joke. Eight years later, Skelly helped create the second largest wind power company in the United States—which was sold for $2 billion. Wind energy was no longer funny; it was well on its way to generating a substantial percentage of the electricity in the United States. Acclaimed journalist and author of The Boom, “the best all-around book yet on fracking” (San Francisco Chronicle), Russell Gold tells the story of this pioneer whose innovations, struggles, and persistence represent the groundbreaking changes underway in American energy. In Superpower, we meet Skelly’s financial backers, a family that pivoted from oil exploration to renewable energy; the farmers ready to embrace the new “cash crop”; the landowners prepared to go to court to avoid looking at overhead wires; and utility executives who concoct fiendish ways to block renewable energy. Gold also shows how Skelly’s innovative company, Clean Line Energy, conceived the idea for a new power grid that would allow sunlight where abundant to light up homes thousands of miles away in cloudy states, and take wind from the Great Plains to keep air conditioners running in Atlanta. Thrilling, provocative, and important, Superpower is a fascinating look at America’s future. 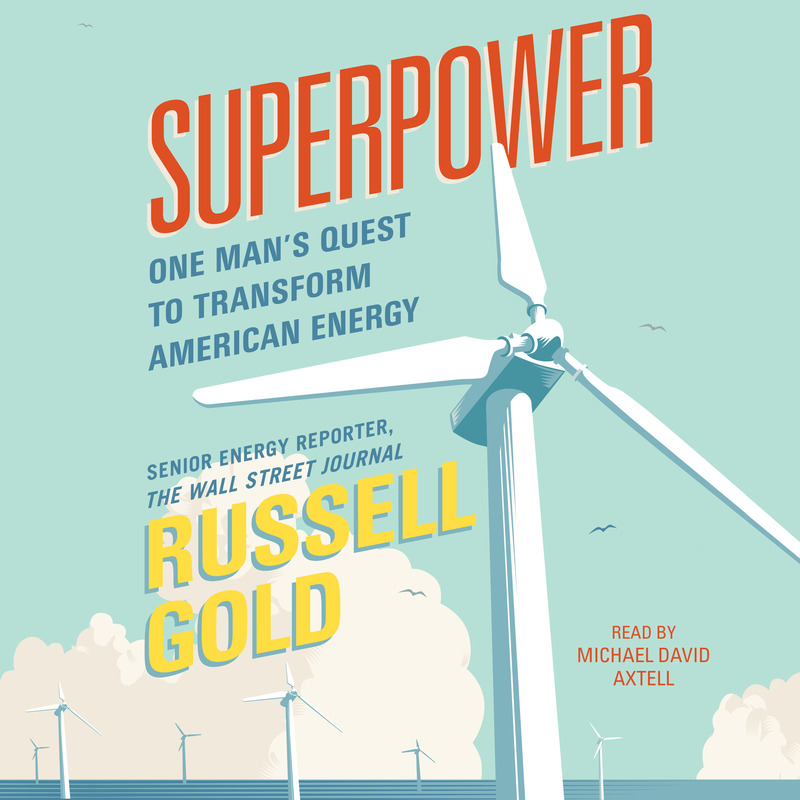 Russell Gold has reported on energy regularly in The Wall Street Journal since 2002. His coverage of the Deepwater Horizon oil spill was honored with a Gerald Loeb Award and was a finalist for the Pulitzer Prize. The author of The Boom and Superpower, he lives in Austin, Texas.